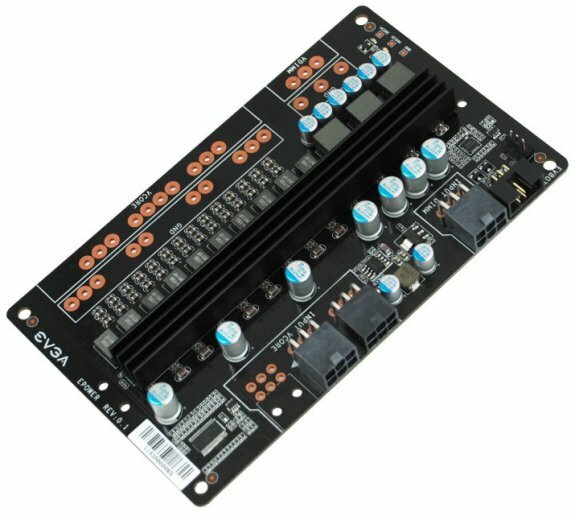 EVGA reveals the EPower Board, a new $99.99 toy for overclockers that can be hooked up to a motherboard and/or graphics card to provide additional power during extreme phase change and LN2 overclocking sessions. Full details and installation instructions can be found at EVGA. This warranty-voiding device features a 10-phase main output, a 3-phase secondary output, digital PWM (for the main output), three 6-pin PCIe power connectors, plus EVBot and fan support. The EPower Board costs $99.99 and is "intended only for advanced users with electronics experience."